Have foresight and plan to have a comfortable and enjoyable future through this workshop to be facilitated by the Colayco Foundation. <>The Financial Planning Workshop is a personal finance workshop designed to help you chart your courses to your financial goals. Most people think that financial planning is so difficult, that it’s limited only to professional financial planners. 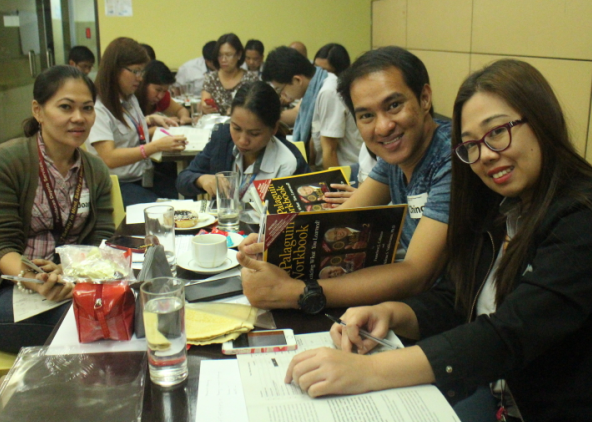 The Pera Mo, Palaguin Mo Workshop equips with the necessary knowledge and skills about financial planning. You will be able to specifically calculate how much you will need to achieve your goals within a specific time. You will also be introduced to financial opportunities that will help you reach your particular goals. Overall, you will be able to plot your journey towards your financial dreams! Francisco Colayco and the Colayco Foundation offer unbiased financial education. Colayco Foundation does not sell financial products ensuring that you learn not just about the benefits of investing but also the risks and how to manage those. Colayco Foundation focuses on the Filipino and helps design strategies on achieving your wealth goals according to your specific financial profile and circumstance. Attend and participate in Colayco Foundation’s Financial Planning Workshop on January 31, 2015, 9:00am – 5:00pm at the MFI Building Ortigas Avenue, Pasig City. Reserve a seat Today at 637 -3741 or 0917 – 8632-131 or email at training@colaycofoundation.com for more details visit www.colaycofoundation.com or www.facebook.com/franciscocolayco.